A delightful girls heart shaped ballerina jewelry box case with spinning ballerina, music box and automatic drawer! 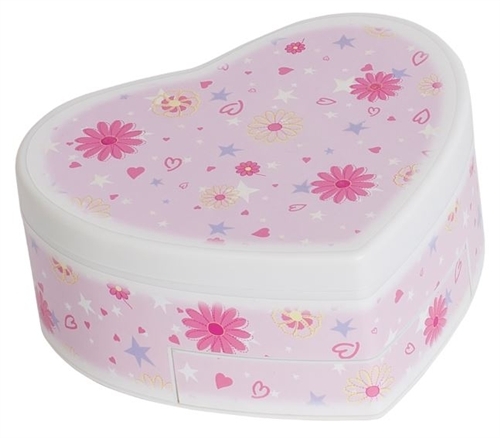 This unique design covered in cheerful hearts and flowers will be a favorite place to keep her jewels. When the lid is lifted, a ballerina dances to Swan Lake and the automatic drawer opens. 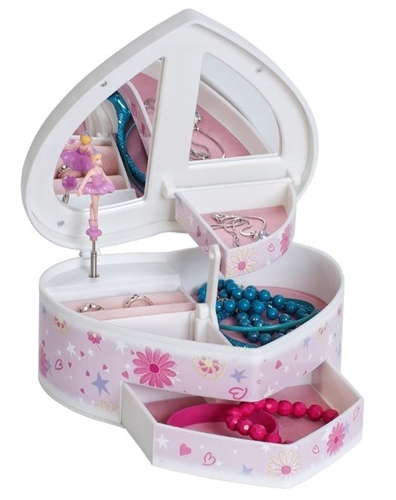 Any little girl will be tickled pink to receive this ballerina jewelry box for her tiny treasures! This heart shaped ballerina jewelry box is manufactured by Mele Jewelry Box Company.